Vacationing on the eastern coast of Maine provides ample opportunity for you to experience New England life. Plan your vacation in Bar Harbor and sample fresh clam chowder and Maine lobster tail amid classic Cape Cod architecture. Bar Harbor is located off the Maine coast on the eastern shore of Mount Desert Island, home to the highest mountain in Acadia National Park. Reserve a car rental in Bar Harbor so that you can drive to Acadia National Park and walk, hike, or cycle along trails or carriage roads of old. 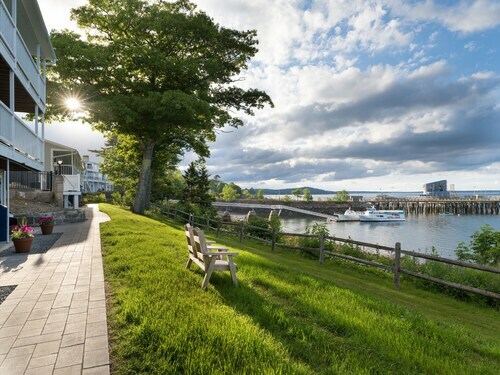 Take in more of Maine's scenic wonders at the Main Street Marina, where you can sign up for harbor tours of whales and lighthouses. There are plenty of museums here. The Abbe Museum is a Smithsonian satellite where you can see Native American artifacts and learn about the history of the island. You can also visit nearby Monhegan Island, where there are no paved roads or cars. This is the place to eat lobster since it is primarily a fishing village. Plan your Bar Harbor vacations at different times of the year to partake in seasonal activities. Summer months feature cruise ships in the harbor and cyclists on the roads. Bar Harbor is one end of Northern Tier Bicycle Route, which ends in Washington, and also the Atlantic Coast Bicycle Route, which ends in Florida. Check out the Independence Day festival and enjoy one of the top-ten best celebrations in the country. Indulge your inner astronomer in the fall at Acadia Night Sky Festival, where less light pollution means you can see a vast array of stars. In the winter, travel from Bar Harbor hotels to nearby Kennebunk to enjoy a high tea at the Annual Holiday Tea, where you can eat finger sandwiches and learn proper etiquette. What are you waiting for? Head to the Eastern Seaboard for once-in-a-lifetime experiences. Get the best deal you can when scheduling your Bar Harbor vacation packages by remembering the Travelocity Price Guarantee—Travelocity will match a lower price and refund the difference. 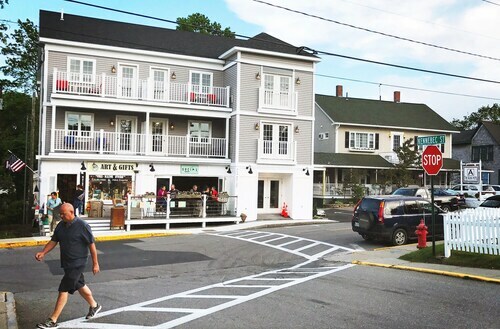 Located in the heart of Bar Harbor, this hotel is within a 15-minute walk of Village Green, Bar Harbor Whale Watching, and Shore Path. Pirate's Cove Adventure Golf is 4.7 mi (7.6 km) away. Situated in the mountains, this hotel is within 1 mi (2 km) of Acadia National Park, Kebo Valley Golf Club, and Bar Harbor Whale Museum. Bar Harbor Whale Watching and Agamont Park are also within 1 mi (2 km). 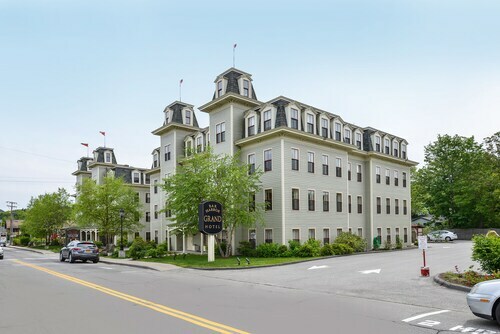 Situated in Bar Harbor, this motel is within 1 mi (2 km) of George B. Dorr Museum of Natural History and Acadia National Park. Bar Harbor Whale Watching is 1.3 mi (2.1 km) away. 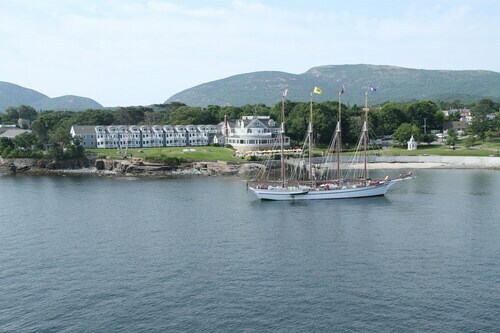 Located in the heart of Bar Harbor, this hotel is within a 10-minute walk of Abbe Museum and Bar Harbor Whale Watching. Acadia National Park is 0.9 mi (1.4 km) away. 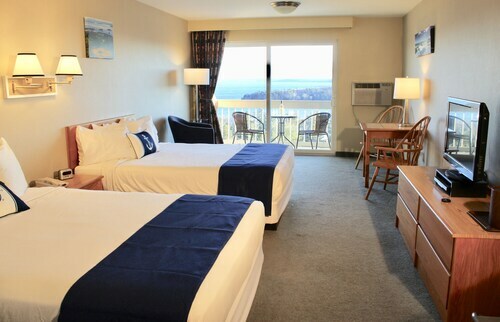 Located in the heart of Bar Harbor, this hotel is within a 10-minute walk of Village Green and Bar Harbor Whale Watching. Acadia National Park is 0.9 mi (1.4 km) away. 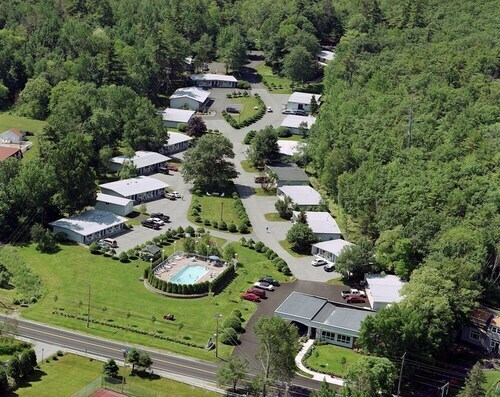 Situated in Ellsworth, this hotel is within a 10-minute walk of L.L. Bean Shopping Outlet and Birdsacre Sanctuary. Downeast Scenic Railroad and Atlantic Art Glass are also within 1 mi (2 km). 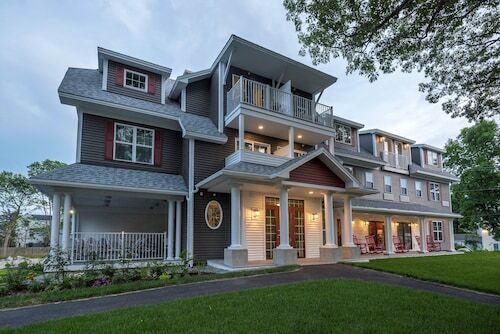 Situated on the waterfront, this spa hotel is steps from Agamont Park and Bar Harbor Whale Watching. Acadia National Park is 1.3 mi (2 km) away.